Well that’s even an idea: Cointreau presents “My Cointreau evening” – handbag and minibar in a, exclusively designed by DITA von Teese. “My Cointreau Evening by Dita Von Teese” was an elegant handbag full of Secrets: hidden in the bag mini bar, which allows its wearer to mix a drink 😉 anytime and anywhere a cocktail The luxury accessory is speaking of available in limited quantities in the exclusive Cologne concept store November 2012 and will cost 450,-EUR. “The handbag of a woman always expression of themselves. 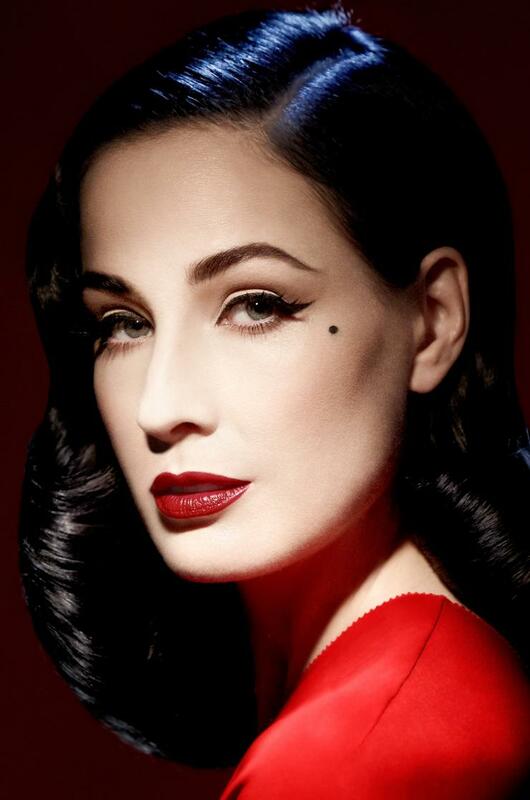 It is her personal exclamation point, with which she gained attention”, as Dita Von Teese. The “my Cointreau evening bag” combines simplicity and understated elegance. 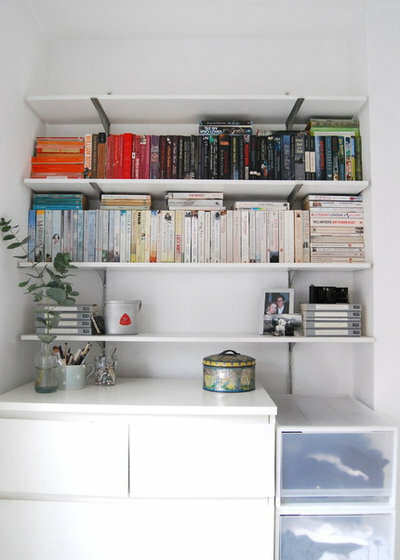 A print inspired by the Art Deco in the Cointreau typical colours white and orange graces their classic vintage form. There is also launched signature on a Silver Pocket dangling charm to find again. 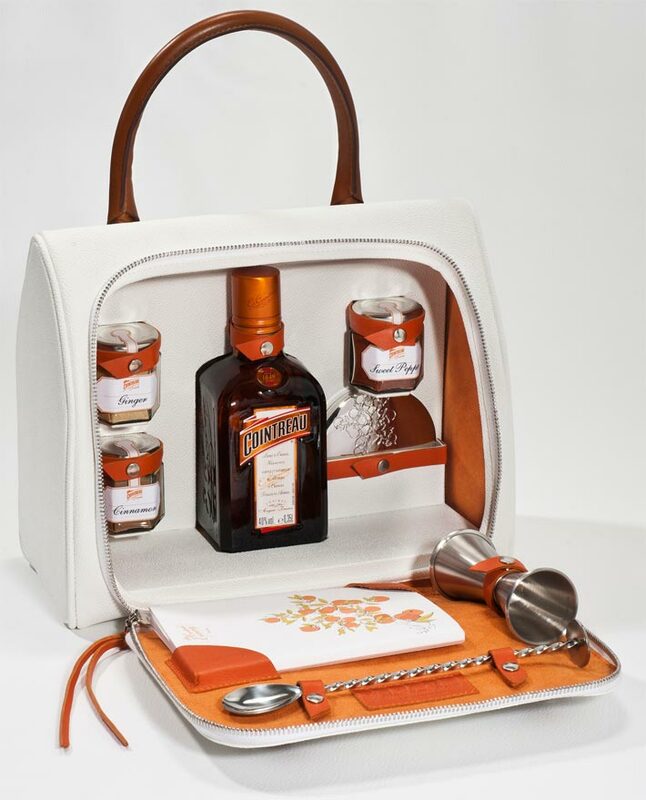 The “my Cointreau evening bag” is equipped with all the accessories a lady needed to discover new recipes and cocktails to mix: three jars, filled with precious spices such as ginger, cinnamon and Chili, a powder can filled with tea, a Jigger for exact dosing and a classic cocktail spoon, which helps with the portioning of spices. In a small “Cointreauversial”-recipe book, that also is the bag, Dita Von Teese reveals tricks for exciting new interpretations of classic cocktails. The use of the minibar can itself also to remove if necessary, so that the bag can be used as a normal handbag. Ambassador for Cointreau Dita Von Teese on the collector’s item: “the handbag of a woman should contain some special accessories that make their owner happy. Exactly this thought is also behind the my Cointreau evening bag. With this exceptional bag I can mix anytime, anywhere cocktails that match all my mood and the actual event. I love cocktails with that special kick: some spices magically provide the difference! “.” Cointreau builds on previous cooperation in the framework of the Mercedes-Benz fashion week Berlin: Markus Lupfer, Augustin Teboul and most recently with the French designer Alexis Mabille in July 2012. What do you say?